The Hawks Nest Rail-Trail is located primarily within Hawks Nest State Park near Ansted. The trail is nearly 2 miles long and runs on the south side of Mill Creek, beginning near the nature center. The gravel and dirt surfaces are suitable for mountain biking and walking, and it has two trestles. You’ll also find a scenic waterfall and other paths in the park. The park offers swimming, a tramway (fee required), small museums, nature center, picnic shelters and boating. 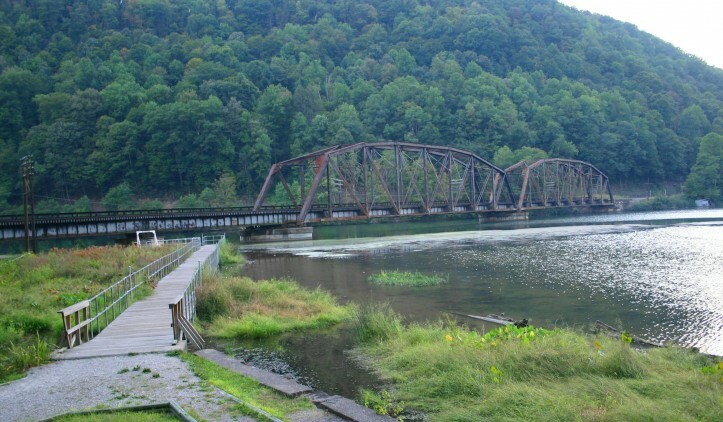 Hawks Nest State Park is on the Midland Trail National Scenic Byway (US 60), 1 hour east of Charleston, West Virginia, and 8 miles west of US 19.